I have to admit, I was not sold right away on this month's collection from Love Lula Beauty Box. I already owned two of the products, though I am always happy to have extra rosewater spray. My skin is not suited to anti-ageing products, plus we just got the brightening eye gel from PHB in the January edition. I am never super keen on sachets as they tend to not hold enough product to get a good idea for if it is suited to you or not, and many of them cannot be recycled so the packaging goes straight to landfill. We have also been given a balm recently (last month in fact), so I was trying to figure out how in the world I was going to use up so many products. 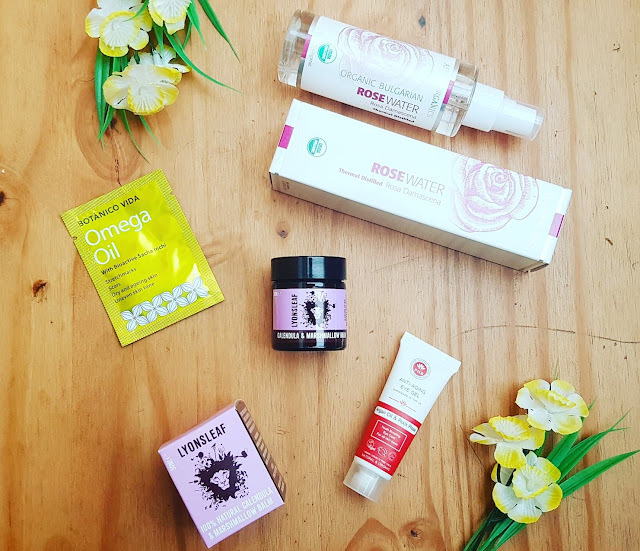 But, after a few weeks of mulling it over and trialing all the green goodies, I have to say I really do like the contents included in the May beauty box. They are all fab quality, and I like that most of the items are genuinely multi-purpose. 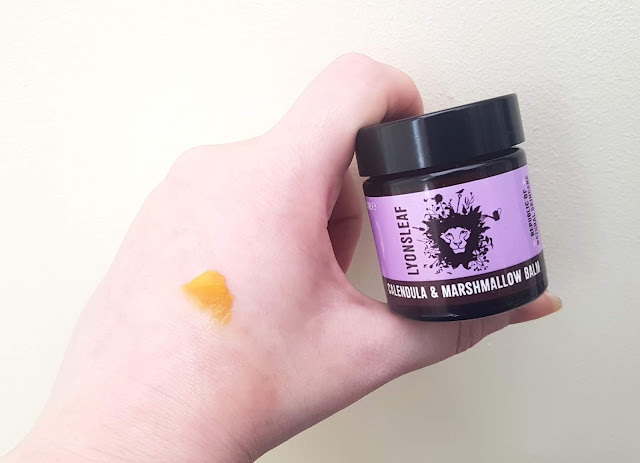 I will use every single item except the PHB Anti-Ageing Eye Gel, and I was really pleased to be able to try out something else from Lyonsleaf. I do not feel so restricted in terms of the items' use as I did when I first opened my parcel, so I have to give two thumbs up. 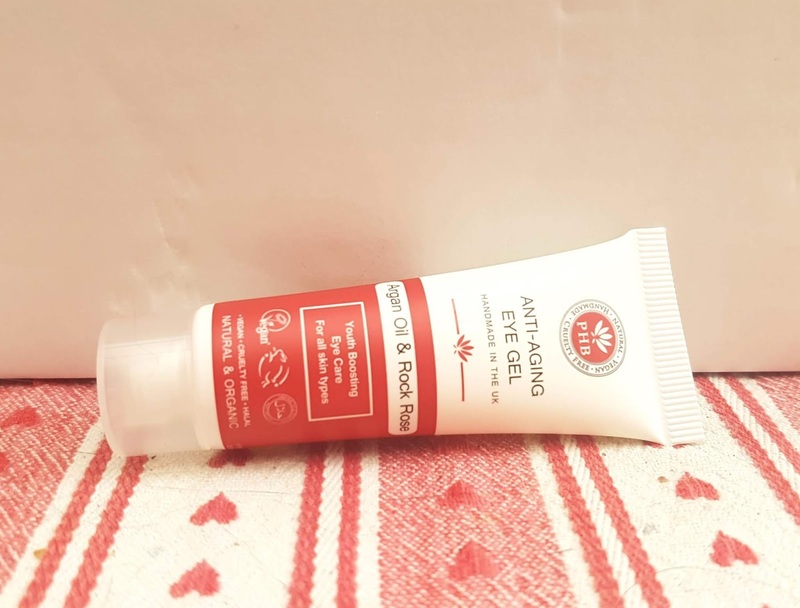 Like I said above, I will not be using this product as it is not suited to my skin type, but if it is anything like the brightening gel I am sure it is a lovely and effective formula. I like the consistency of these eye gels, as they are super light and do not leave any residue. They sink in quickly, and since they are not a traditional cream they do not leave that white sheen under your eyes. Ingredients: Aqua, Aloe barbadensis (Organic aloe vera**), Vegetable glycerine, Fucus vescilosis (Bladderwack) extract, Biosaccharide Gum-1, Coco-caprylate, Sclerotium Gum, Propandiol & Salix alba, Hippophae rhamnoides (Organic Sea Buckthorn**), Argania spinosa (Organic Argan**), Citrus dulcis (Orange), Pelargonium graveolens (Geranium), Lavendula angustifolia (Lavender), Cymbopogon martinii (Palmarosa), Benzyl alcohol, Cistus ladaniferus (Rock Rose), Ferula galbaniflua (Galbanum). *Limonene * Linalool *Citral *Geraniol *Citronellol *Farnesol *Occurs naturally in essential oils, **Organically grown ingredients. I have been loving this balm for my hands in particular, as they had been really dry from all the ups and downs in the weather. They are really soft and healthy again, and I can only thank this little pot for that. Next test will be my feet, as they are far from sandal-ready. The balm has a very faint smell and is incredibly gentle, so it can be used on any skin type and even for babies. Definitely a great find for me, and probably one of my favourites in the May Love Lula Beauty Box. Ingredients: Organic Sunflower Oil, Babassu Oil, Organic Beeswax, Organic Avocado Oil, Cold Pressed Borage Oil, Cold Pressed Rosehip Oil, Calendula Extract, Marsh Mallow Extract, Natural Vitamin E Oil. Ingredients (INCI): Helianthus Annuus, Orbignya Oleifera, Cera Alba, Persea Gratissima, Borago Officinalis, Rosa Canina, Calendula Officinalis, Althaea Officinalis, Tocopherol. While this is in a sachet, I do have to say I am loving the product inside. Since it is an oil, it last a bit longer than other products because you do not need much when applying. I have been using this on a few stretch marks I have, and while I can't say it has made 100% difference, it is helping. The product sinks in quickly and has a light scent of citrus which is uplifting and really lovely. 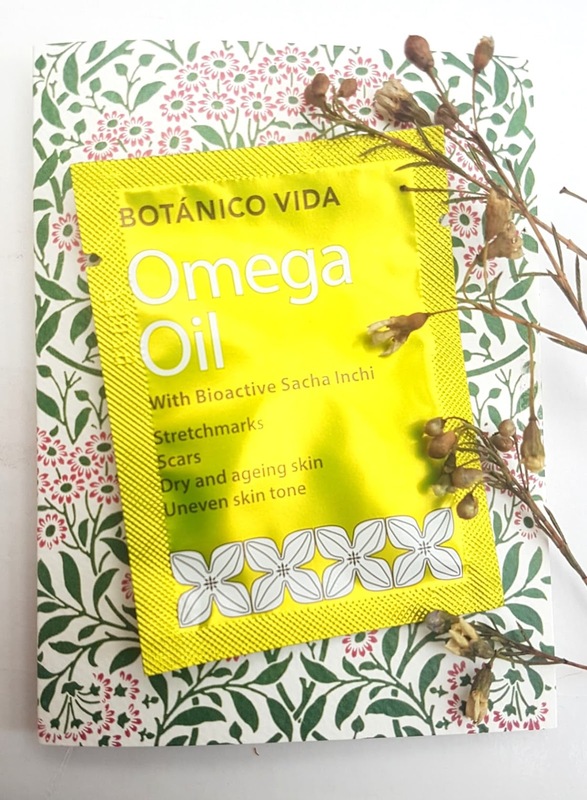 It has made my skin incredibly soft and smooth thanks to the moisturizing qualities of the oil blend, and I will be sad when the sample runs out. I am still debating on the shade, as I do not usually go for darker colours. I love the burnt bronze it takes on under sunlight and flash, but in neutral or dark lighting it is a solid cocoa. The shimmer is honestly gorgeous, and I have actually been using this less on my eyes than I have as a bronzer/highlight. When mixed with a drop of oil it is fab for getting a sunkissed look on your cheeks or collarbones, and I will probably continue to use it like this as we move closer to summer. For anyone who loves a smoky eye or is really good at blending out eyeshadow, this is probably a wonderful option for you, but for everyone else I recommend trying out my technique! Ingredients: Mica, Titanium Dioxide, Iron oxides. May contain: Carmine. I saved my favourite product from the May Love Lula Beauty Box for last. I actually own a few bottles of this already, and have to say it is so light and refreshing and utterly delightful. The smell is crisp, clean, and floral, and it is seriously amazing on a warmer day to spritz your face for a pick me up or cool-off. It does come in a plastic bottle which is a huge downside, but Alteya have started offering glass bottle options now as well. A big plus going for this rose water spray is that it is so affordable -- even more so than Balm Balm. I'm happy to have a spare of this, and I am sure I will continue to buy from this brand in the future for a long time to come. Ingredients: 100% pure organic steam-distilled Rosa Damascena floral water. Steam-distilled from fresh hand picked Bulgarian Rosa Damascena rose petals. Overall, this box offers a wide variety and should have at least one or two items for everyone to enjoy. The value of this month's edition was worth over £46, which for a collection that cost a subscriber only £13.95 is incredible. If you are interested in subscribing to Love Lula Beauty Box, be quick, as you have to join before the start of the month to receive the next edition (so if you join in May, you get June). You can choose from a month to month rolling subscription, or a pre-pay if you want a longer term option! And as always, let me know what you thought of this month's box in the comments down below. Did you like the variety? What was your favourite product included? I can't wait to see all your opinions! What an interesting variety of products. 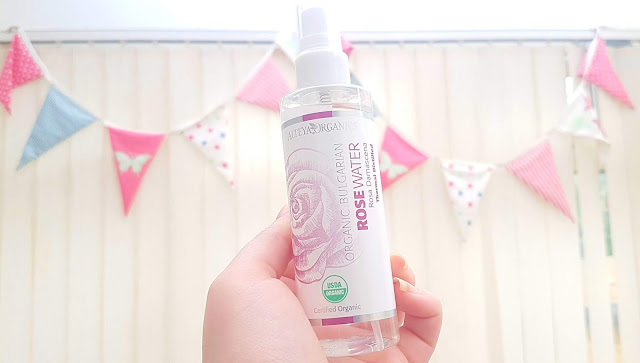 I have a rose water mist from another company and swear by it. So I’d definitely have a look at this one when I run out. That eye gel sounds absolutely amazing!